A tour of the fish farm begins at the hatchery, where fish eggs are extracted and incubated. Baby fish (fry) are hatched in incubators and nutured indoors for two weeks until they develop their protective slime. At this point, they are moved to outdoor nursery ponds where they graze on plankton and grow into fingerlings. 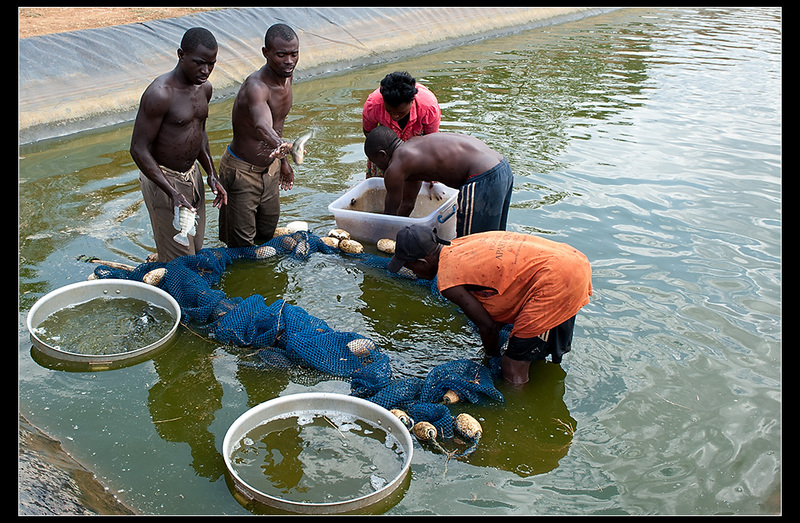 In Lakeside Fish Farm one can see the entire life span of tilapia: from eggs to fried fish on the plate.